I’m discovering not many teachers know multiple student sheets can be added to one spreadsheet. 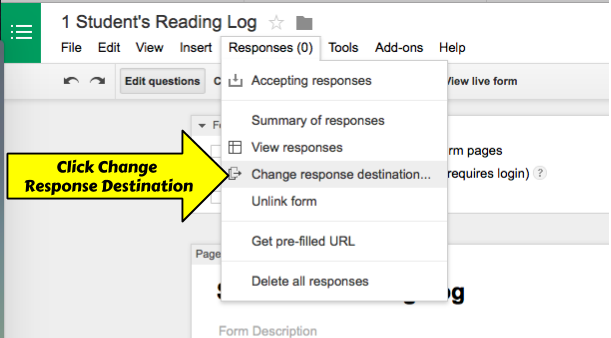 Due to the time it takes for setting this up I don’t recommend doing this for all Google Forms. However due to the nature of a reading log it is well worth taking the time to set up a sheet per student. 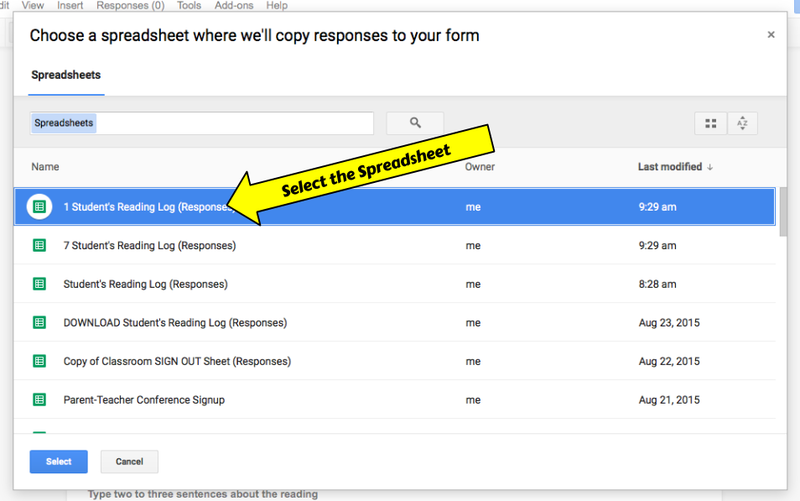 The trick is you will need to create one Google Form per student, and then add a sheet into an existing Spreadsheet.